Talk to a lawyer for Free 24/7 (314) 361-4242 :: Our Boating Accident Lawyers fight to get compensation for accident victims. In 2007, there were 168 boating accidents in Missouri, in which seven people were killed and 148 were injured, according to the Bureau of Transportation Statistics. In Illinois, there were 107 boating accidents, in which 13 people died and 60 people were injured. The lakes and rivers of Missouri and Illinois are busy recreational spots, and boats can be just as dangerous to operate as automobiles. Nevertheless, one needs fewer qualifications to operate a boat than a car, and there are fewer law enforcement officials available to police our waterways than there are on our roads. Serious boating accidents often result in major injury to boat passengers, and can even result in a fatality. Just as an injured person can seek compensation after a car accident from the at-fault driver, so too can an injured boater seek compensation. The question of where to turn for financial recovery after a boat accident is complicated by the state’s boating regulations and questions of insurance coverage. Drunk driving accidents: In Missouri, just under eight percent of boat accidents in 2008 had alcohol as a contributing factor. In Illinois, 13 percent of boating accidents had alcohol as a contributing factor, according to the Bureau of Transportation Statistics. Boating while intoxicated is just as illegal as driving under the influence. Keep your distance from a boater who is visibly consuming alcohol or who is operating the craft erratically. Careless or reckless boating: One doesn’t have to be intoxicated to recklessly operate a craft. Speedboats and personal watercraft such as Jet Skis, are tempting to operate at high speeds, but if the operator disregards the safety of other craft in the area by speeding or weaving, he or she may be charged with negligence. Distracted boaters: Just as cell phone use is a common cause of auto accidents, so too is “texting while boating” a more frequent cause of on-the-water accidents. Erratic movements often signal operator inattention. Operator inexperience: New boat operators, or boat operators without proper training and certification, may cause accidents by failing to comply with unfamiliar boating regulations. Equipment failure: Poorly designed or manufactured safety equipment or boat components can contribute to drownings and propeller accidents. Read instruction manuals carefully and conduct practice sessions with safety equipment. Poor signage: Poor or nonexistent markers or signage in marinas or on public waterways can contribute to boating collisions. We provide you with information about the causes of boat accidents for two primary reasons. First, we know that information is a powerful tool of protection. 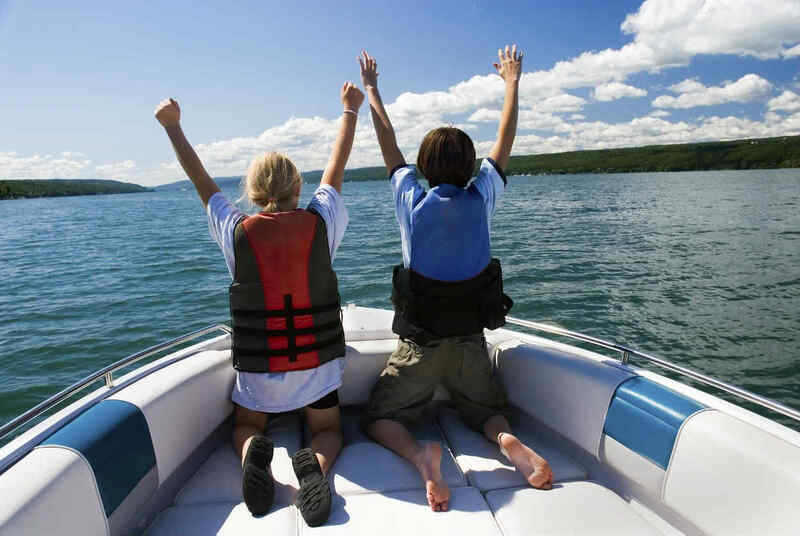 Boaters who are aware of common accident causes are less likely to get in an accident in the first place. Second, if you or someone you know has been seriously hurt in a Missouri or Illinois boat accident, we want to reassure you that our law firm can handle any type of boating accident — whether the cause was a boating while intoxicated (BWI) incident, an untrained operator, poorly signed causeways or something else. Injured in a Missouri boating accident? At The Hoffmann Law Firm, L.L.C., we focus our law practice on representing people injured in motor vehicle accidents, including boating accidents. Attorney Christopher Hoffmann has over a decade of intensive experience handling personal injury and wrongful death claims, and he has helped hundreds of injury accident victims attain financial compensation after serious accidents. In boat accident cases, we conduct an independent investigation into all possible causes of the accident. We also analyze all potential sources of compensation, including the injured person’s own insurance policies and the insurance policies of the responsible person. If you or a family member has been injured in a boat accident, you probably have questions about where to seek financial compensation for medical bills, time off work and necessary future medical care. To schedule a free consultation with an experienced personal injury lawyer, call The Hoffmann Law Firm, L.L.C. at (314) 361-4242 or contact us online. You never pay attorney fees unless we recover compensation for you.